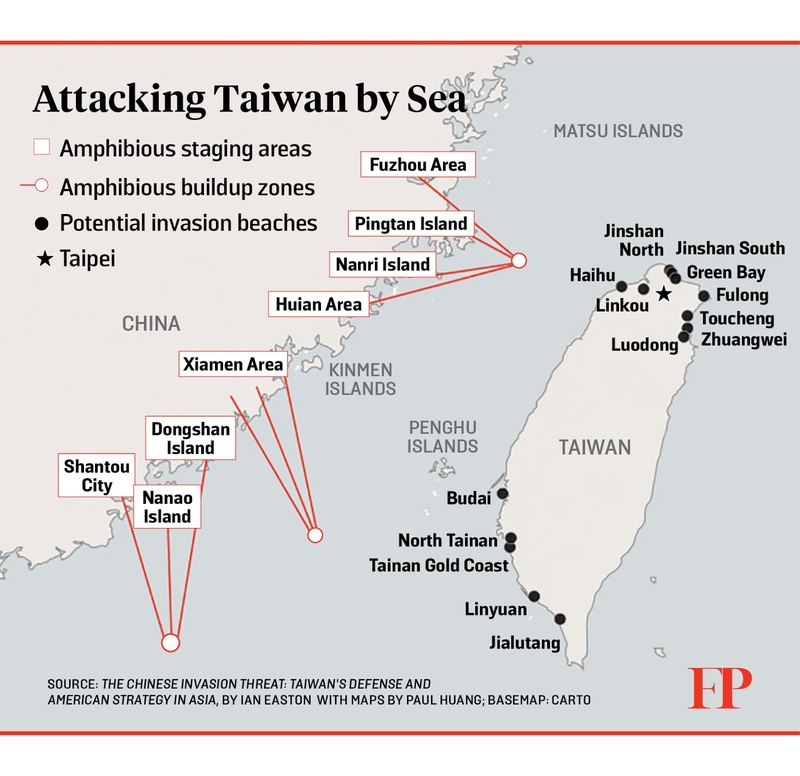 "A consensus seems to have developed among a large number of defense analysts in recent years arguing that despite the balance of power having shifted in China's favor, Beijing has no intention to use its military to invade Taiwan and thus resolve the Taiwan "question" once and for all. Doing so would be too costly, some argue, while others contend that Beijing can accomplish unification by creating enough economic dependence and incentives to convince Taiwanese over time of the "inevitability" of a "reunited" China….."
Why spend blood and treasure when you can convince the other side to join you and make money in the process? "Beijing has no intention to use its military to invade Taiwan and thus resolve the Taiwan "question" once and for all". Apparently, the writer doesn't keep up with Chinese rhetoric and current thought. That assumption is just wrong, and believing that could spell trouble for those involved. I hope it doesn't happen, but they could do so now, if they wished, using their "peoples' merchant fleet", and Taiwan would be hard-pressed to prevent it. Possible but unlikely. After all, it was the wise Sun Tzu who said: "The supreme Art of War is to subdue the enemy without fighting."